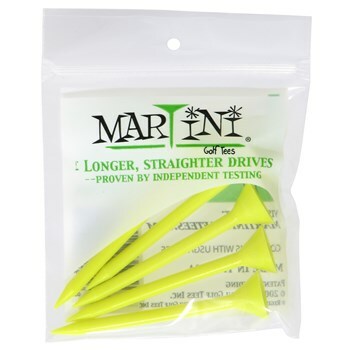 The Martini golf tee is 3 & 1/4" tall, making it perfect for today's larger drivers. 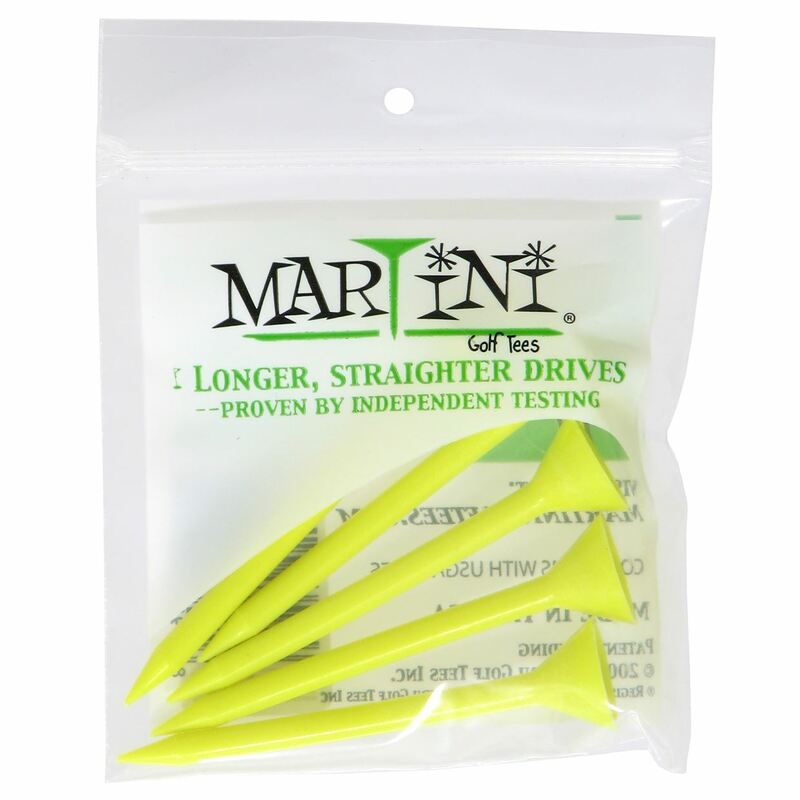 They are made from a proprietary polymer resin blend & last a lot longer than old-fashioned wooden tees. The large cup of a Martini tee makes it very easy to tee up your golf ball and they conform to today's USGA rules and regulations. Include 5 tees in a pack. Can't destroy them... only lose them.